Tickets for the event are currently offline. We hope to release limited tickets through our network of local Event Promoters in the next week. The DC Edibles Festival is committed towards educating the local community to the medicinal benefits of cooking and consuming Marijuana and Cannabis. The DC Edibles Festival will be providing a vast array of educational seminars, demos, speakers, giveaways, entertainment, our soon to be announced DC Cannabis scholarship program, and more! This is an Initiative 71 compliant trade show and festival featuring Washington DC’s most exclusive Edibles Artists and Cannabis related vendors for adults age 21+. No sales of marijuana is permitted. No sales of edibles are permitted. This is an Initiative 71 compliant event. Re-entry to event is allowed with ticket stub and hand stamp by event staff. 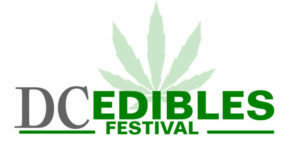 Edibles Tables will be setup and categorized by category (infused and non-infused) and locality.